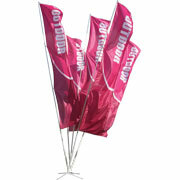 Portable displays, stands, signs and banners for outdoor events and advertising. If you have any questions about choosing the right outdoor signage or displays for your event please call us toll free at 1-855-536-3385 or contact us by email. 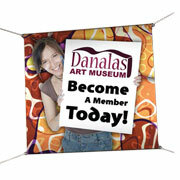 Advertise your message in any weather on sidewalks and lawns. Designed and built to attract attention and last years. 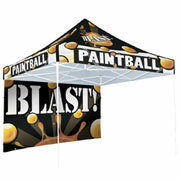 Ideal for fairs, festivals and other outdoor events, these portable event tents offer maximum visibility and shelter. 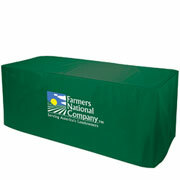 Great for company picnics, banquets, outdoor festivals and more. Available in 14 standard colors to choose from. 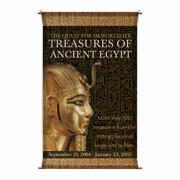 Large banners for advertising on the exterior, or interior, of a building. Available in four common sizes and three different materials. 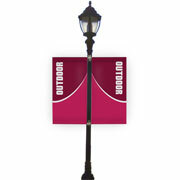 Single and double kits for outdoor advertising on light posts and electrical poles that line streets and boulevards. Custom made banners for advertising in any exterior or interior space, in any size, and in a full variety of materials and finishing options.